We can print 2, 3 or 4 colour logos - email us for a quote! Printed right here in New Zealand! High quality 100% latex balloons. Big 36 colour range of balloons. World class multi colour printing machinery. Celebrate all of life’s special moments with Printed Balloons! Design your own unique balloon message for birthdays, parties, weddings, decorating and corporate events in just a few simple, online steps. Use our Balloon Builder to choose from a huge range of exciting colours, select an image, logo or text and make it your own with a variety of fun accessories. 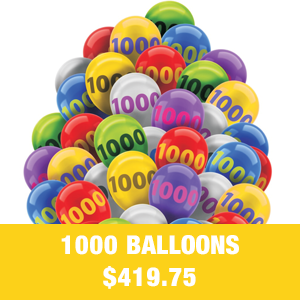 Whether it’s 100 balloons or 10,000, the method is the same: quick, easy and stress-free. If you have a two colour print that you want on 1 or 2 sides of your balloons, then no problem, email us for a quote today!! 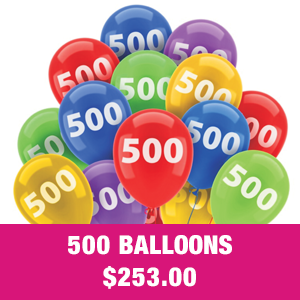 Printed Balloons is New Zealand’s most experienced balloon printers, with over 50 years designing and making superior custom printed balloons. We print your personal or professional message right here in New Zealand, meaning you get top Kiwi service, quick nationwide delivery (48 hour rush service available) and affordability. Printed Balloons specialises in helium-quality balloons and offers a vast range of vibrant colours including crystal, metallic and pearl. We use the latest, state of the art, multi-colour silk screen balloon printing machines to give you a crisper, clearer, highly visual result. 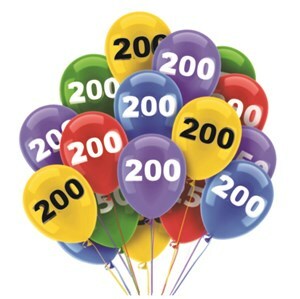 Plus, all our world class helium-quality latex balloons are 100% biodegradable. Trust us to deliver on time, to specification and with a smile. We’ll also beat any competitor’s written quote by 10%. Total satisfaction guaranteed. That’s an offer that won’t let you down.